Home > Pets > [Pet Lovers Centre Singapore] Due to popular demand, we’ve decided to extend our Festive Sale till the 31st of December! 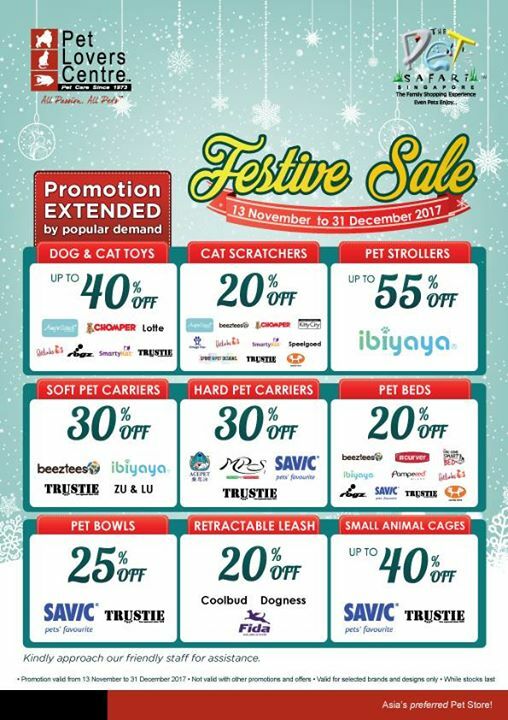 [Pet Lovers Centre Singapore] Due to popular demand, we’ve decided to extend our Festive Sale till the 31st of December! Previous: [Babies’R’Us] Awesome Flash Sale Alert!